America (and South Africa too) has a president and leadership that are seemingly bent on destroying their nation and they are doing a very good job of it! Many have rejected the God of the Bible and have embraced "Allah" the god of Islam. America is slaughtering thousands of unborn babies in their "planned parenthood" and "abortion clinics." There is an unholy alliance between the White House and the Supreme Court to systematically unravel the fabric of their society. Due to the Obama Foreign policy America watches as thousands of Christians are being murdered in the Middle East and other places, woman and children are raped, beheaded, burnt alive or forced into human trafficking …and America and their allies seem unable or unwilling to respond! If they have accepted "Allah" and the pagan religion of Islam then they must by necessity reject Yeshua (Jesus) and the Judeo-Christian way of life because nobody can serve two masters. America has certainly been blessed by God and His blessings upon that nation have set it apart from all nations. God said that He would bless those who bless Israel …but He also promised to curse those who curse Israel (Genesis 12:3). He pronounced a dire warning to the nations in Joel 3:2. God said that He would bring those nations that have divided His land, Israel, to the valley of Jehoshaphat. We the church is not without hope. God has us in the palm of His hand, and He has promised to be faithful to us. We must however, return to our first love. When we do we will come out of hiding and walk in the power of God. We will see the repairing of the bridge and we will be restorers of His path (Isaiah 58:12). God will raise the church up "out of the ashes," and as the Lord said through His prophet Joel and again through Peter on the Day of Pentecost, "I will pour out My Spirit in those days," Joel 2:28-29; Acts 2:17-18. No one or nothing can stop God! The only thing we have to do is decide which side we are on! The Book of 2 Samuel chapters 15 – 18 record an incident that greatly disturbs King David. His trusted advisor and friend Ahithophel of Giloh, had joined the conspiracy lead by David’s own son Absalom. This plot was intended to overthrow David as King, creating division within David’s house. But, rather than appoint Absalom as King, the betrayal caused the death of two men whom David loved. After many years of unchecked rebellion Absalom made one last attempt to forcefully seize the throne from his father King David and to become king of Israel. When David was told about his son’s deceit he fled Jerusalem, leaving only ten of his concubines behind to attend to the palace. Ahithophel requested a small army in order to pursue David with the intent of killing him …but Absalom chose to follow the advice of Hushai, a close friend of David, instead of Ahithophel’s advice. As the result King David’s life was spared, but Absalom his son, was killed in the battle that followed! Ahithophel’s shame was so great that he set his house in order and then took his own life! Perhaps he foresaw that when King David returned to Jerusalem he would then be tried for treason and be executed. This betrayal of one of David’s closest officials was the setting in which David penned the words and from his heart he wrote… “Even my own familiar friend in whom I trusted, who ate my bread, has lifted up his heel against me,” Psalm 41:9. Betrayal was nothing new to King David as he was well acquainted with it, having walked through it most of his life and yet the loss of his close friend still affected him. Betrayal always brings forth death! Likewise, our Lord Yeshua (Jesus) was also familiar with betrayal… having experience in rejection and ridicule in His life and ministry. He was no stranger to it. Judas had orchestrated the capture of Yeshua perhaps believing that there was more in it for him. 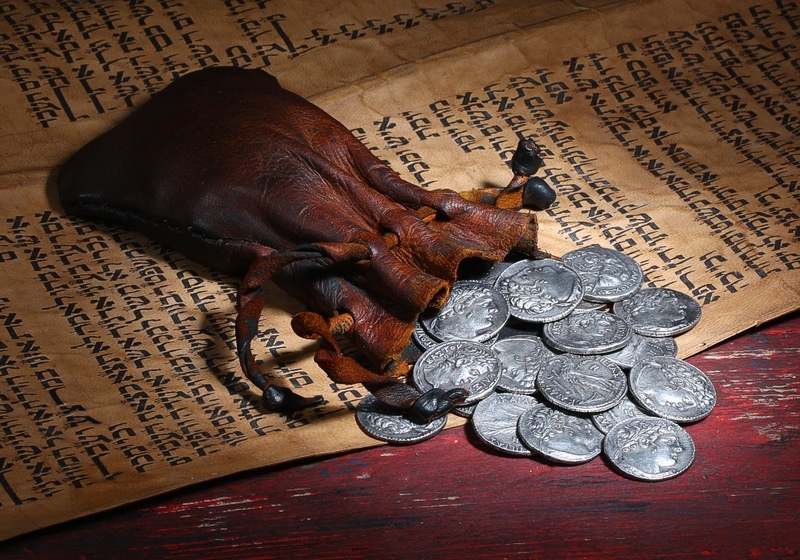 Judas Iscariot offered to be the one to hand Yeshua over, agreeing with the religious leaders to do so for a mere 30 pieces of silver, the lowest price paid for a slave (about 25 $ USA). The phrase "lifted up his heel" portrays brutal violence, the lifting of a heel and driving the heel into the neck of the victim. That is the "picture" of Judas. Having wounded his enemy, who is lying on the ground, he takes the giant heel and crushes his neck. Psalm 55 contains another clear prophecy of Judas and his betrayal. Imagine Yeshua (Jesus) speaking these words… "For it is not an enemy who reviled me; then I could have borne it; it is not one who hates me who magnified himself against me; or I would hide myself from him; but it is you, a man my rank, my guide and my friend. We took sweet counsel together, and walked to the house of God in company. He has put forth his hands against those who were at peace with him; he has broken his covenant. The butterings of his mouth were forked, but war was in his heart; his words were softer than oil, yet they were drawn swords," Psalm 55:12-14; 20-21. This was a time in history when Israel was waiting for the Messiah, a king who they believed would lead them to conquer their enemies. It was a time where people had heard that the Messiah had been born …a time so evil that Herod himself had ordered the slaughter of all boys of two years old and under, born within Bethlehem (Matthew 2:16) and within all of the coasts. A command issued by Herod when he learned that his plan to secretly slaughter the Christ child had been spoiled …little did Herod know, by angels! The Jews had totally missed the boat when Yeshua (Jesus) came to them with God’s message to love their enemies. Christ became to them a stumbling block to the wise, a fool to the prudent, and a blasphemer to the high minded. They never saw Him coming! The disciples struggled with some of this too, as even Peter took his sword and cut off the ear of one of the soldiers who came to arrest Yeshua (Jesus) just prior to the crucifixion. Seeing how volatile even Peter was, in following our Lord, how much more could we consider that Judas Iscariot might have been corrupted, a man pre-destined, via prophecy, to be Christ’s betrayer…? The very name "Judas Iscariot" demonstrates that Judas was not only the betrayer at the instant that he delivered his mocking kiss to Yeshua (Jesus) …but that Judas’s whole identity in the world was marked of betrayal. "Judas," the betrayer’s first name means; "held out." The name descends from the name; "Judah," which means "praise." "Judas" means "held out" in the sense that Israel "held out" praise for God. "Judas" is a very honourable name. "Iscariot," however, means "for the world." When the two names are put together - the betrayer’s name becomes; "held out for the world!" "Held out for the world" is who Judas Iscariot was. And, it also is that which he did …He held out for the world, for worldly gain! "For what is a man profited if he shall gain the whole world and lose his own soul? Or what shall a man give in exchange for his soul?" Matthew 16:26 Once the Lord was handed over to be crucified, Judas then realized that he was sending an innocent man to his death. Just like Ahithophel, Judas became overwhelmed with regret and grief …and also took his own life! Not only was there remorse for the evil that he has done but he might have realized that the other eleven disciples would come after him for his evil betrayal. Yeshua (Jesus) knew that Judas would betray Him. And, yet He still chose Judas to be one of the twelve disciples. He still loved Judas, taught Him the ways of the Kingdom and broke bread with him. If he had lived, Judas may have been reconciled with the Lord, like Peter had been after his denial? Despite all the unanswered questions the truth still stands. Judas’ betrayal portrayed the message that King David wrote more than 1,000 years before. As Yeshua stated to His disciples before He was arrested; “I do not speak of you all; I know whom I have chosen; but that the Scripture might be fulfilled, He who eats bread with me has lifted up his heel against me,” John 13:18. 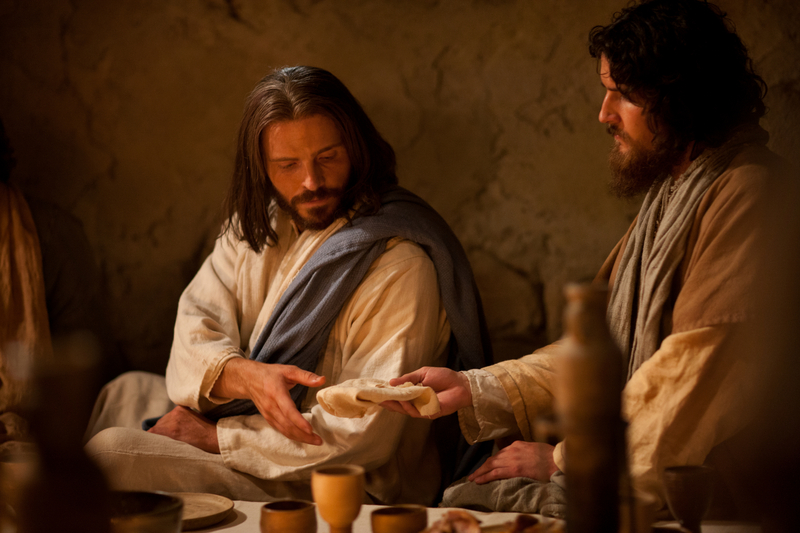 The disciples could not understand who would betray Yeshua (Jesus) or why…? “When Jesus had said this, He was troubled in spirit, and testified and said; ‘Truly, truly, I say to you that one of you shall betray Me.’ Then the disciples looked upon one another, wondering of whom He spoke,” John 13:21-22. Interestingly, just as Judas was going to reveal Yeshua to the captives with the gesture of brotherly affection, so Yeshua (Jesus) revealed the betrayer a similar gesture of brotherly affection… “But there was one of His disciples leaning upon Jesus' bosom, the one whom Jesus loved. Simon Peter therefore signalled to him to ask whom it might be of whom He spoke. And lying on Jesus' breast, he said to him, Lord, who is it? Jesus answered; ‘It is he to whom I shall give the morsel when I have dipped it.’ And dipping the morsel, He gave it to Judas Iscariot, the son of Simon,” John 13:23-26. Yeshua (Jesus) chose not to alter God’s plan just as King David did not impede the conspiracy of Ahithophel. Instead, they both allowed God’s judgement and justice to move. Yeshua was fully aware of His purpose to fulfill ALL of the scriptures. This included subjecting Himself to the same pain that King David experienced in betrayal. Isaiah spoke well when he stated that the Messiah would be; “He is despised and rejected of men; a Man of sorrows, and acquainted with grief; and as it were a hiding of faces from Him, He being despised, and we esteemed Him not, Isaiah 53:3. Here we see Yeshua (Jesus) and Judas the perfect example of opposites; the perfect One and the absolutely wretched - the best and the worst. The purity of Yeshua and the vileness of Judas, by contrast, became very obvious. Judas was an ultimate tragedy and probably the greatest tragedy that ever lived! He is the perfect and prime example of what it means to have opportunity and then lose it. He becomes all the more terrible because of the glorious beginnings he had. Judas followed the same Christ as the disciples. For three years, day in and day out, he occupied himself with the Lord …saw the same miracles …heard the same words …performed some of the same ministries …was esteemed in the same way the other disciples were – and yet he did not become what the others became. In fact, he became the very opposite. While they were growing into true apostles and saints of God, he was progressively forming into a vile, calculating tool of Satan. Judas Iscariot, who betrayed the Son of God with a kiss, has become the most despised person in the annals of human history. His personality is the darkest in the chronicles of the world, and the name Judas itself bears a stigma, reflecting the scorn for him that burns within us. The New Testament writers disdain Judas to such a degree that in every list of the disciples given in the Gospels, Judas is listed last, with a note of contempt after his name. Then Satan entered him… One cannot help feel a tremendous sense of gloom and despair knowing that one of the twelve disciples of Jesus betrayed him for a mere 30 pieces of silver! How is greed like that even possible…? Yeshua (Jesus) explains it in four simple words; “Then Satan entered Judas!” (Luke 22:3) We have found it extremely difficult to write or speak on this subject because sin is never more grotesque than it is in the life of Judas. When we study Judas and his motivations, we are prying very close to the activity of Satan. But, there are valuable reasons for examining Judas and his sin. For one thing, to understand Yeshua’ (Jesus) love in its fullness and it helps to look at the life of Judas, because despite the awfulness of Judas’ sin, Yeshua reached out to him in love! For three years, Judas moved and walked with Yeshua (Jesus). Initially, he must have shared the same hope of the Kingdom that the other disciples had. He likely believed that Yeshua was the Messiah. Judas too, had left all and followed the Lord. Certainly he became greedy, but it is doubtful that he joined the apostles for what money he could get because they never really had anything. Perhaps his motive at the outset was just to get in on this “Kingdom” that Yeshua (Jesus) would bring. Whatever his character at the beginning, he gradually became the treacherous man that betrayed Christ …a man who had no thought for anyone but himself …a man who finally wanted only to get as much money as he could and get out. Greed, ambition, and worldliness had crept into his heart, and materialism had become his persistent sin. Perhaps he was disappointed because of unfulfilled expectations of an “earthly Kingdom.” Maybe he was tormented by the unbearable rebuke of the presence of Christ. Surely it created a great tension in his heart to be constantly in the presence of “sinless purity,” and yet be so infested with vileness! Perhaps, too, he began to sense that the eye of the Master could see who he was and what he was. Or it may be that all those things had begun to eat at him…? Whatever the reasons, he ended in absolute disaster, the greatest example of lost opportunity the world has ever seen! The book of Zechariah contains a prophecy about the betrayal of Christ by Judas in even more detail… It gives the exact price he was paid for his treachery, just as it is recorded in the New Testament. Zechariah 11:12-13 prophetically gives the words of Judas, talking to the Jewish leaders: “And I said to them, ‘If it is good in your sight, give me my wages; but if not, never mind!’ So they weighed out thirty shekels of silver as my wages. Then the Lord said to me, ‘throw it to the potter, that magnificent price at which I was valued by them.’ So I took the thirty shekels of silver and threw them to the potter in the house of the Lord.’” That describes to the letter what Judas did after the death of Jesus Christ. He took the thirty pieces right back to the house of the Lord and threw them down. Matthew 27 says that the thirty pieces were picked up and used to buy a potter’s field, exactly fulfilling the prophecy of Zechariah 11. Prophecy was clear that Christ would be betrayed by a close friend. Why did Yeshua (Jesus) choose Judas, then…? He chose him to fulfill prophecy - not only the prophecy specifically about Judas, but also the prophecies of His own death. Choosing Judas was no accident. Long before Judas was ever born, by divine design, predestined in the plan of God from eternity past. In John 17:12, Yeshua, praying to the Father, says of the disciples; “While I was with them, I was keeping them in Your name which You have given Me; and I guarded them, and not one of them perished but the son of perdition, that the Scripture would be fulfilled.” Somebody had to bring it to pass and Judas was more than willing. God used the wrath of Judas to praise Him, and through the deed that Judas did, He brought salvation. Judas meant it for evil, but God used it for good… “But as for you, you thought evil against me, but God meant it for good, to bring to pass, as it is this day, to save a great many people alive,” Genesis 50:20. A similar betrayal is taking place by a Judas-like immoral, lawless US president that is so corrupt that only evil intent could be orchestrating his actions… America is in an “hour when darkness reigns,” a time where Christians are being chastised, called domestic terrorists, and are a perceived threat to the elite “kings” of the land and government authorities who are swift to condemn and persecute. Why is what America does important to the world…? Why does the election of a US President affect Israel…? Why would it even matter to South Africa or any part of the world for that matter, who America chooses for their next president in 2016…? It is impossible to know at this stage which candidate the American voters will choose as their next president. But, it is certain that the choice will have profound consequences, for better or for worse - for the entire world. More than anything else, this reflects the continuing reality of America as a World Power. It also reflects the near-certainty that the next president WILL inherit a world in considerable turmoil and chaos left by Democrats under the failed leadership of the Obama Administration. What he or she chooses to do, and how he or she chooses to do it, will matter a great deal to people everywhere especially for Israel and the West. America a superpower is a country that wields enough military, political and economic might to convince nations in all parts of the world to do things they otherwise wouldn’t! There are only two nations Obama, the president of the U.S. finds fault with, on a consistent basis, and those two unlucky nations are: The United States of America and The Jewish State of Israel! But, we fear Obama’s faithlessness and arrogance is now a formidable danger to Israel. Barak Obama feels no need to preserve, protect and defend the Constitution of the U.S. because he thinks he knows better. Obama has set about replacing the American Constitution, which he views as deeply flawed and obsolete. While the people are watching the economic crisis, the Obama Administration has been making deals with Iran and sticking it to Israel at every opportunity. Obama has given tacit approval to Turkey when the Turks held their first ever joint military exercise with Syria (a close proxy with Iran). The Israeli’s were deeply shocked that an increasingly Islamic NATO member would hold exercise with a rogue state like Syria (Iran). Even more shocked that Washington seemed to approve! Obama is letting it be known that he doesn’t care about Israel and that he wants better relations with Iran and Syria and for that matter Turkey …even if they have to throw Israel under the bus to do it! Obama has approved a large Turkish arms sale to Lebanon (Hezbollah) who has let it be known that they would join a Middle East war on the side of Iran and its Islamic proxies against Israel. Imagine what the Israeli’s must be thinking, that if you have a friend like Barak Hussein Obama – who needs enemies…? Turkish arms will certainly be used from Lebanon against the State of Israel when Israel is forced to attack Iran and neutralize their nuclear program. In the Iranian Nuclear Deal, Obama put in a clause that, should Israel attack Iran’s nuclear facilities, America will have to defend Iran against Israel. What a betrayal from a supposing close ally! Obama is now allowing Iran to sell its natural gas to Europe by a pipeline that goes from the Caspian Sea via Turkey to Europe. 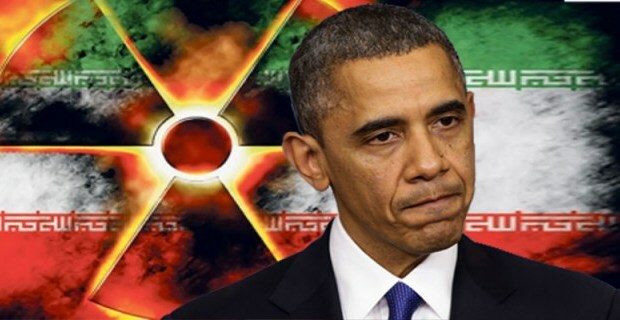 Wasn’t the idea to make tougher sanctions on Iran an incentive to give up their nuclear program…? How does helping Iran to sell their gas give them an incentive to give up their nuclear program and their stated ambition to wipe Israel off the map and their continuous shouting; “death to America”…? At best it seems inexplicably inconsistent and at worst like the “heights” of treachery to Israel. Don’t listen to the empty words of Obama as they mean absolutely nothing but rather judge him by what he does! The Bible warns us in Matthew 7:16, 20 they will be known “by the fruits!” Since taking office in 2008, Obama has been the most socialist, anti-Christian, anti-capitalist, anti-American, anti-Israel president that America has ever had. A man of Obama’s fibre has alliances that are momentary and fleeting and Israel would be foolish to rely on this man …and even more especially as his term as president is coming to an end at the end of 2016. No previous American president has had so strange a relationship with Israel as Barak Hussein Obama… Obama is very harmful for Israel and very dangerous for the Judeo-Christian civilization. Obama’s relationship with Israel’s has been consistent with the president’s pattern of “selling-out America’s allies to curry favour with their adversities!” It is this “kiss of betrayal” that ultimately spells out America’s demise! It has been systematic and began within two days of him being sworn into the office in 2008 as the newly inaugurated president who placed his first call to a foreign leader. Of all of the world leaders he might have chosen to call, for some reason, he chose to call Palestinian President Mahmoud Abbas. Just six days into his presidency in an interview with Al Arabia TV Networks, Obama said that Israel must drop its preconceptions and negotiate with Hamas. Hamas is a terrorist organization whose founding charter remains committed to the permanent destruction of Israel and the mass murder of Jews. Barak Hussein Obama’s time had come! In June 2009, he told Prime Minister Netanyahu, “We are going to change the world so don’t interfere!” This was the hour of Obama and he was going to make the most of it. …his way or no way at all! In July 2009, Obama hosted the American Jewish leaders at the White House and informed them that he sought to put “daylight” between America and Israel. For eight years (i.e. during the Bush Administration), there was “no light” between America and Israel, and nothing got accomplished, he said. The fact that there was no “daylight” between America and Israel has always been part of God’s plan! America was established by the grace of God to be a friend to Israel. In spite of the fact that Israel agreed to more concessions than its even logical, Obama continues to insist that they are not making any bold attempts for peace. Like Judas, Barak Obama keeps on searching for ways to “betray” Israel! As Judas betrayed Christ and sold Him to His enemies, so will America betray Israel and sell her to her enemies! Be assured, Obama is putting plenty of “daylight” between himself and Prime Minister Netanyahu of Israel, who he, Obama, treats as if he were an unsavoury third-world dictator and the nation of Israel not America’s ally. In early 2011, as Egyptian protestors forced their long term president to step down, Barak Obama declared that all opposition groups must have a say in their next government. Never mind the fact that such a development would essentially ensure that the Muslim Brotherhood would be in a position to steer the new regime towards adopting “Shariah Law” and increase its hostility towards America and Israel. That is exactly what happened …but God had other plans! On 3rd February, 2011, Israel law maker Ben-Eliezer said; “I don’t think yet that the Americans understand the disaster that they have pushed the Middle East into. I wouldn’t be surprised if the Muslim Brotherhood didn’t win a majority; it would win half of the seats in parliament. It would be a new Middle East, extremist radical Islam.” With the same foolishness Obama pushed for the so-called “Arab Spring” to continue across the whole Middle East, further destabilizing the region and sending many of the other countries into utter chaos! That is not to say that there was “good leadership” in these Middle East countries (Tunisia, Oman, Yemen, Egypt, Syria and Morocco) or that the nations were being lead properly. But, many of them were at least friendly to the West! Millions of people from these countries are now the “so-called refugees” in Europe. The Muslim Brotherhood, along with other anti-Israel groups seized power throughout the region and all this contributed to the rise of the cruel, radical Islamist group called SIS, seeking to set up their Caliphate and throw the world back into the 7th Century. Consider the following…. Can the leader of the free world, the carrier of the purse …the one who represents the government of the world be so foolish…? Is it possible that Obama and his then secretary of State, Hillary Clinton knew what the outcome would be from its outset…? Is it possible that Obama’s encouragement of the “so-called” Arab Spring was a calculated move and if so, why…? Why would he want to see groups rise to power who are so evil and who have made no secret of their evil desires…? Was this a calculated move by Obama to isolate Israel…? Was it an attempt to strengthen Islam and weaken Israel…? Was Obama bargaining with the enemy…? Was Obama looking for an opportunity whereby he could betray Israel…? 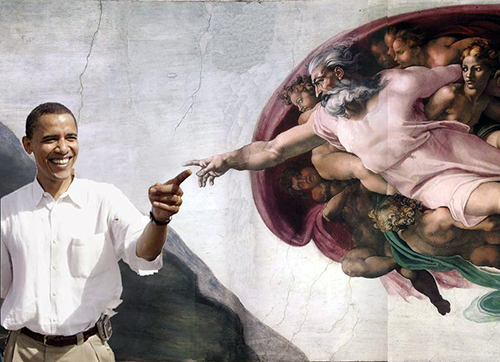 Just as Judas had sought for “the proper moment to betray Christ” - it seems like Barak Obama is doing exactly the same! When will he pull the preverbal trigger…? Could it be before the end of this term in 2016…? How dark must it get before he makes his move…? In September 2011, Obama said on the campaign trail; “Don’t compare me to the ‘Almighty,’ compare me to the alternative.” Why phrase it that way…? Was it really just a poor choice of words…? Let’s look at what was written in the April 2007 edition of Men’s Vogue Magazine. As Morgan Freeman approached Obama at a fundraiser, Obama said; “This guy was president before I was!” – referring to Freeman’s role as President Tom Beck in the movie Deep Impact. Obama may have been jumping the gun – as the 2008 election was still a year away. But, it was the next comment that we find most shocking, when Obama followed up with; “This guy was God before I was!” referring to Freeman’s role in Bruce Almighty. How modest – no hint at all there that he might one day stand in the Temple and claim to be God. Since the re-establishment of the nation of Israel, every US president has assured Israel that they have the unshakeable support of the most powerful country in the world. And yet, America is standing at the most strangest point in history, with one hand they are confirming and reaffirming their support for Israel, and with the other, they are meeting with those who have only one goal …“the total annihilation of God’s chosen people!” It doesn’t have to be this way! America like Judas, have a choice to make, and it is this choice that will either seal America’s doom or be blessed by God. This choice is also available for our government in South Africa because at present they are leaning towards Barak Obama’s views by supporting the Palestinians and enemies of Israel …and also by boycotting Israeli products. How can America under the presidency of Barak Obama shake the hands of Israel and at the same time shake the hands of the Iranians…? 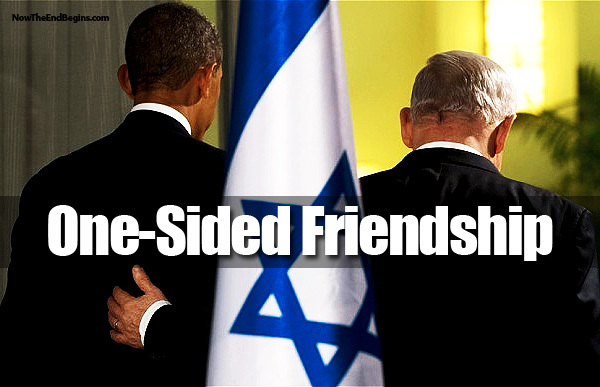 How dare Obama call Israel America’s friend while empowering those who would destroy her…? As Judas sought to distance himself from Christ, Obama is seeing to put more “daylight” between America and Israel!” Everything that Judas was, in the real sense, was because of Yeshua (Jesus). Likewise America must understand that it is not Israel that needs them, but its them that needs Israel! America owes everything that they are to the blessing that have come about because America had chosen to bless the Jewish people - God’s chosen and Israel! America has now come to a critical moment where they are in the process of selling Israel just as Judas sold Christ. Under the leadership of their president Obama, America has witnessed an unprecedented rift between America and probably one of their greatest allies, Israel. Prime Minister Netanyahu has more than on one occasion said that, “Israel’s enemies must know that whatever the cost, whatever it takes Israel will stand alone …Jerusalem is our Capital and Israel is our homeland!” Stand alone…? Never! Would Israel ever have to stand alone…? No! God has warned Israel that they would be turned upon by every nation and now it seems that the time has come. We are seeing the fulfilment of prophecy as we see America, Israel’s staunchest ally; best friend and supporter turn their back on her and distant themselves on Israel. The Times of the Gentiles (Luke 21:24) is very quickly drawing to a close! Barak Hussein Obama is NO friend of Israel or of the United States… Obama’s words are nothing compared to his actions which blatantly anti-Israeli if not anti-Semitic. At this critical time he is abandoning Israel as his actions clearly illustrate and giving aid and assistance to those terrorist organizations and nations who would destroy another 6,000,000 Jews given half the chance. Israel needs to make plans for a world that includes a neglectful if not passively hostile, Obama Administration and must see to her own security. If Israel does not look after her interest’s no-one will. Why…? Because, Obama is now (and will continue to) stabbing Israel in the back. Israel can only put her trust in Almighty God! In Matthew 13:24-30, (Yeshua) Jesus gave this parable of the "wheat" and "tares." It was hard to tell the difference between wheat and tares before they were ready for harvest. And while there may be some tell-tale signs, we can’t always tell the difference between the true Christians and apostates who say they are Christians. If we knew which was which, we could go to every apostate individually and warn them of the danger. However, we can’t read people’s hearts. But, someday our Lord is going to reveal who is true and who is false, and He will divide accordingly. Sadly, churches as well as governments are moving dangerously close to the tipping point. We will either turn and repent …or continue in the rebellion towards God. We will return to the Lord of Glory …or we will once and again betray the "One" who has called us out of darkness into light. Yet, today we see that nations of the world are hurrying towards destruction as they pursue favour with the enemies of Israel and to fight against the nation of Israel. Judas moved under "Satanic" influence to sell-out Yeshua (Jesus). We are convinced that there is rising "demonic influence" at work in the hearts of the leaders of the nations who are coming against Israel! Israel must be made to understand that true American and South African Christians still whole heartedly stand with Israel …and support and admire God’s chosen people even though our current presidents would sell them out in a heartbeat! We most sincerely believe that God WILL bless you for your faithfulness and love for His land and His chosen people. God’s Word is true! He IS watching to see how the nations are treating His people. God will have mercy on Israel through Gentile believers acting as mediators towards them… This is one of the most amazing revelations ever given to the church – an opportunity to do something that carries the highest priority in the heart of God. Yet… sadly, so few have seen the potential and the rewards of serving God in this manner - as agents of mercy to Israel and the Jewish people! Israel was and still is despised today… and a despisable nation continually turning away from God but nothing ever altered the purpose of God for that nation. The despised element is always a noticeable element in the purpose of God. When the Saviour of the world came, He came of that despised nation; like Israel… He Himself was “despised and rejected by men,” …and there is that despised element, “things that are despised God has chosen,” 1 Corinthians 1:28. 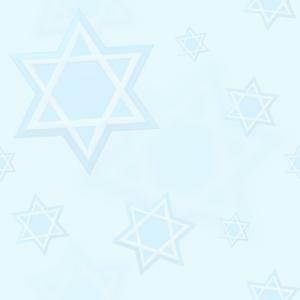 Now more than at any time is the time to support Israel and the Jewish people - the Lord’s Brethren! We are witnessing the nations and people turning their backs on Israel. Please your support is critical! Thank you! God bless Israel!